← The grapes left behind. For the past week I’ve been driving through Napa Valley to my new job. Well, let me explain. As you know, I live in Sonoma. I was recently offered a position at a winery in Napa Valley (which I happily accepted). The tasting room that I’ll be running is just 10 minutes from my house in Sonoma, but the historic winery where I was training all week is up in Calistoga – at the very top of Napa Valley. So, everyday I drove from the very bottom of Napa Valley (Los Carneros) to the very top of Napa Valley (Calistoga). Let me tell you I drove past tons of history. Tons. Okay, so there’s a little grape humor there. I couldn’t resist. There’s still a debate about where grapes were planted first (Napa or Sonoma), not sure if that will ever be resolved. But no one can argue that both valleys are steeped with grape growing and wine making tradition. My past 3.5 years have been working in Sonoma County, so this is a new adventure for me. An opportunity for me to expand my knowledge of wine and grape growing regions. 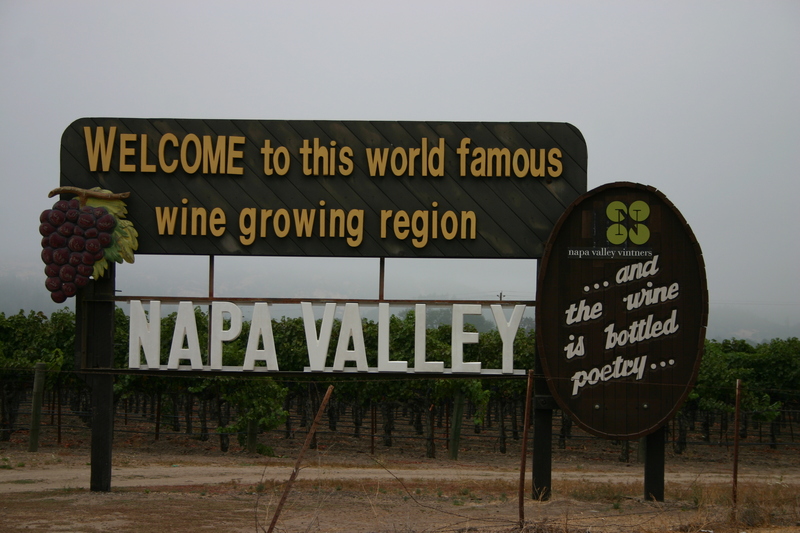 Let’s take a quick historical visit through Napa Valley…. This is where thousands of visitors take their picture every year. A truly famous sign. Now let’s jump into some wineries…. 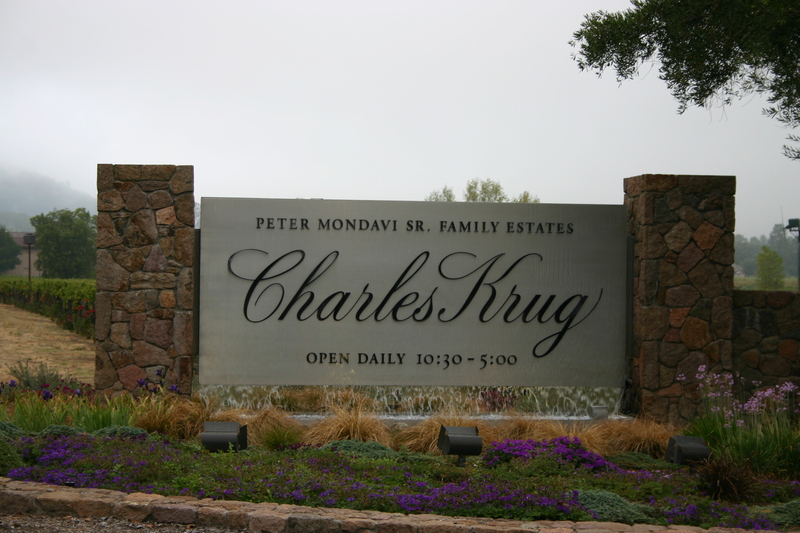 Charles Krug founded in 1861 was one of the first wineries in Napa Valley. The Mondavi family, who owned land in the Lodi area already, purchased it in the 1940’s. This is the site of the famous fight between Peter and Robert Mondavi, which was the beginning of fine wine production in Napa. How? Robert Mondavi took his ideas, went down the road and opened this…. Robert Mondavi has been long thought of as the father of the fine wine business in America. He had plans to make wine in “new” ways like stainless steel fermentation tanks and small french oak barrels. He took Sauvignon Blanc and called it Fume Blanc and took the wine consuming world by storm. He was a true legend. 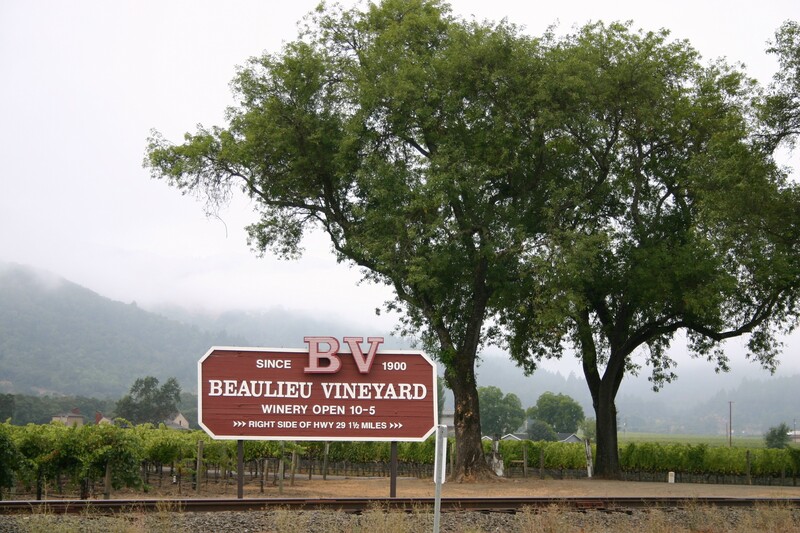 Another important winery in Napa…. 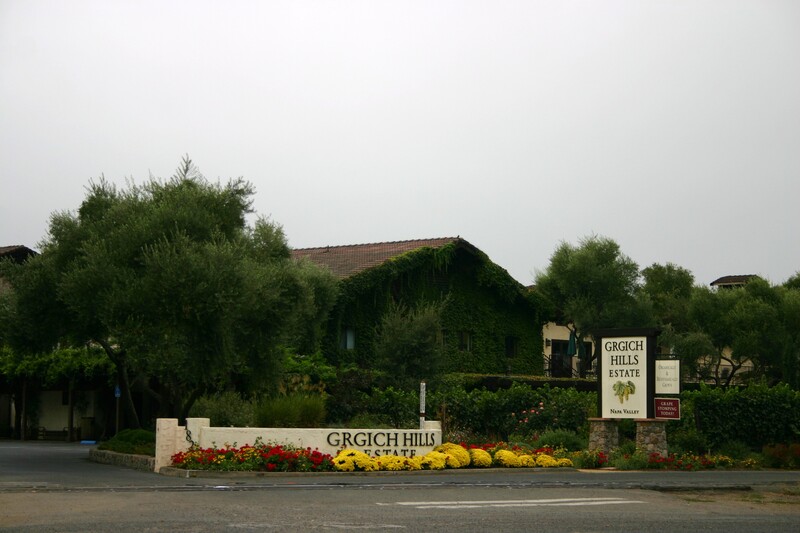 Grgich Hills Estate was founded by Mike Grgich after his great success crafting the 1973 Chateaux Montelena Chardonnay that won in the 1976 Paris tasting besting all other White Burgundies. The ’76 tasting is extremely important in the history of Napa Valley. In addition to world acclaim (and putting California winemaking on the map), it brought thousands of visitors to Napa wineries. In addition to the important wineries above there’s also this one…. Georges De Latour brought phylloxera resistant root-stock to Napa. He also started making fine wine at a time when everyone was focused on mass-produced sweet wines. He traveled to France and hired Andre Tchelistcheff to come and craft his Napa Valley wines. Andre had such talent that many of the top winemakers in the 60’s and 70’s learned under his direction. A truly historical place. You can read more about it here. Cool stuff. 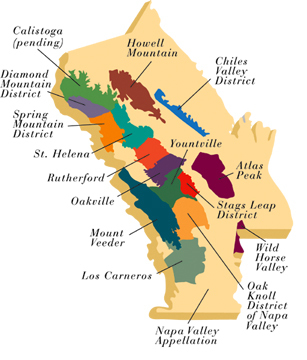 These are just a few of the stories that embody Napa Valley. The winery I’m going to work for (I’ll keep it a secret for many reasons) is steeped in history too. Maybe not as long as many of the wineries above, but certainly it was established at a time when fine wines crafted in small oak barrels was a new thought in the valley. A side note: I’m not going to give up my “Sonoma Cork Dork” page just because I’m working in Napa Valley. I chose the Sonoma moniker more because of where I live than for any other reason. Although you may see more Napa references than in the past. Of course! The site of the first female owned winery in Napa Valley. Important history for sure. I’m sure there are many other stories I missed as well, but we’ll get there.